Join us on April 27th for our new series, Walk & Talk! 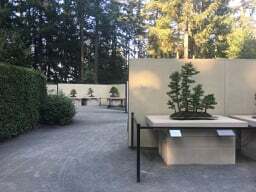 Follow Patrick in the collection as he waters and cares for the bonsai trees. You’ll learn everything from great bonsai and tree care tips to interesting facts about our collection. Meet at the Conservatory at 1pm. No reservations required. The duration of Walk & Talks can vary between 20-45 minutes. An integral part of the Pacific Bonsai Museum team, Patrick helps care for the 150 trees in the Museum’s collection. 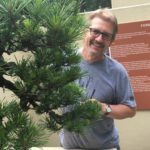 Patrick has been practicing bonsai for 15 years and takes part in continuing education with renowned professionals such as Ryan Neil of Bonsai Mirai, Dave De Groot, Matt Reel, Mike Pistello and John Muth of Bonsai Northwest.